Being arrested and receiving a first DUI citation is a terrifying ordeal. You may have been arrested and likely do not know what will happen in court and with your driver's license. If you have been charged with drunk driving for the first time, the best thing you can do is educate yourself by contacting an experienced DUI lawyer that practices in the county where you received the DUI. As an experienced and dedicated driving under the influence law firm, we will work hard to educate you in the process and do our best to get your DUI charges reduced or dismissed against you. Contact us today to discuss your case for free. California is one of the toughest states in sentencing driving under the influence (DUI) cases in the nation, and Fresno County arrest and charges drivers with DUIs at alarming rates. Drunk driving charges can be misdemeanor or felony offenses. Contrary to popular belief, DUI cases are not simple and California laws make it difficult to navigate without legal counsel. DUI charges are serious offenses and the courts take them seriously, and so should you. Driving under the influence is commonly called "drunk driving". A person does not have to be “drunk” in order to be charged with a DUI. Driving skills, especially judgment, are impaired in most people long before they show signs of being drunk. It is more accurate to refer to driving under the influence as "alcohol-impaired" driving because you do not have to be "drunk" to be impaired in your ability to drive a car. A person can be charged with a DUI because they are under the influence of drugs or alcohol, including prescription medication. In 2014, California created new statutory classifications for DUI offenses. Now, there are additional charges that a prosecutor can file against someone that is under the influence of a drug or narcotic. The term drugs include both illegal and legal narcotics, stimulants, over-the-counter drugs, as well as legal prescriptions. California Vehicle Code Section 23152(c) makes it illegal for a drug addict to drive a vehicle. The prosecutor can argue that a person is an addict if he or she claims that the drug in their system was consumed at an earlier date to still be charged with DUI. California Vehicle Code Section 23152(e) states it is unlawful for a person who is under the influence of any drug to drive a vehicle. This count is dealing with prescription narcotics. While the prescribed medications are aimed to help, most people do not realize the danger in taking a prescription as directed and driving. Many physicians do not explain the problems that can arise when someone is driving while using medication such as California Vehicle Code Section 23152(f) states “it is unlawful for a person who is under the combined influence of any alcoholic beverage and drug to drive a vehicle”. California Vehicle Code Section 312 defines a “drug” as any substance or combination of substances, other than alcohol, which could affect the nervous system, brain, or muscles of a person as to impair, to an appreciable degree, his ability to drive a vehicle in the manner that an ordinarily prudent and cautious man, in full possession of his faculties, using reasonable care, would drive a similar vehicle under like conditions. In addition to facing drunk driving charges, you can also face DUI enhancements that can lead to additional punishment. Some of these enhancements include excessive blood alcohol levels, refusing an alcohol test, being underage, having children in the vehicle, and reckless driving. You could also be given additional charges if you fled the scene of the accident, even if it was only property damage. These enhancements are extremely serious and we will work hard to get these enhancements or additional charges reduced or dismissed. Punishment for a DUI Conviction. 3 to 5 years court probation. Mandatory minimum 48 hours to 6 months in county jail. The judge may order other terms and conditions. The court may require community work, attendance at alcohol awareness classes, community service, AA/NA meeting attendance, and any other order to ensure public safety while you are on probation. DMV issues After a DUI Arrest. If alcohol is a factor in the arrest, your driver’s license is in jeopardy of being suspended or revoked. DMV will conduct an administrative action to determine if the suspension should go into effect. It is important to prepare for the DMV hearing with the same care as the court proceedings in order to win the DMV administrative hearing. The administrative actions are independent of any criminal penalties imposed in court and it is important to discuss your DMV matter with a DUI lawyer immediately, including the requirement of installing an Ignition Interlock Device (IID) on your vehicle after a drunk driving arrest. You must contact DMV within 10 days. This means that within the first ten days of your arrest you must request an administrative hearing with the California DMV, or your license will most likely be suspended or revoked. In most cases, even if you have a great defense, you will lose your license if you fail to request an administrative hearing. If you are unable to contact an attorney within 10 days, please see our Request for DMV Hearing form. If you need help completing the Request for DMV Hearing form, please contact our DUI law office. When you call, be sure to let us know that you need a DMV hearing request and we will be happy to fax the request at no charge because we want to make this experience as less stressful for you as we can. If your license is already suspended due to DMV suspended your license after receiving the DUI, we will work hard to work on obtaining your driver's license, including getting your full license or a restricted driver's license. Beginning January 1, 2019, California is requiring people that are convicted of a DUI to install an Ignition Interlock Device (IID). This is a device you must blow into in order to start your vehicle. Luckily, there are numerous options for first DUI offenders. However, because the law is so new, it is impossible to determine what the judges will require. As a result, it is necessary to have a DUI attorney that knows the judges, district attorneys, and DMV hearing officers in order to help argue on your behalf to try and avoid the IID being placed on your car. When receiving a first DUI, the consequences of the drunk driving conviction can cause serious problems with your life. This is further complicated when you are unfamiliar with the criminal court system or the DMV process, it can seem intimidating and lead to incredible stress. When facing drunk driving charges, you may ask yourself, "Do I need a DUI lawyer for my first DUI?" Unfortunately, the answer is yes, you do need a DUI lawyer to help you avoid the legal consequences of drinking and driving, even if it is your first drunk driving case. 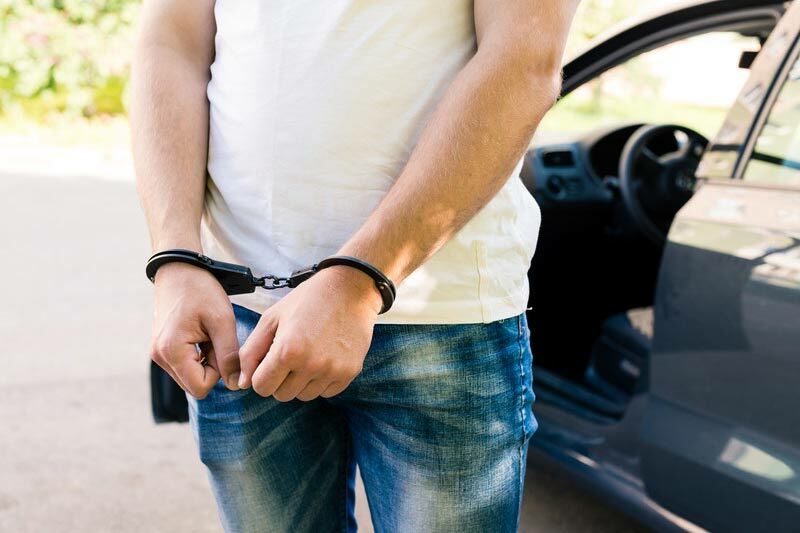 When our clients are facing serious DUI charges, whether they are misdemeanors or felonies, we take the time to explain the entire DUI process. At your free consultation, we will tell you ALL the facts and will give you the best indication of what will occur in your particular case, including explaining all the consequences of having a first DUI conviction on your record. DUI charges are serious and you should ask your DUI lawyer to explain what are the best steps to avoid a DUI conviction. If you just received a DUI for the first time, make sure to contact DMV within 10 days to avoid your driver’s license being suspended. You may contact us and we will request a DMV hearing for you at no charge and no commitments. If you are facing a first time DUI, contact the Law Offices of Tina M. Barberi, P.C. to receive a free and confidential consultation to discuss your case in order to determine how to defend the drunk driving charges.